According to the American Academy of Pediatric Dentistry, a child's first checkup should occur by age 1 OR 6 months after the first tooth erupts. At this important visit we will check the baby teeth for early cavities, show you how to care for a young child's mouth properly, discuss how to treat an at home trauma, go over your child's developmental milestones, and discuss the importance of good oral hygiene. This is the first step in prevention and is very important! Making this visit fun and exciting for your child is our goal! 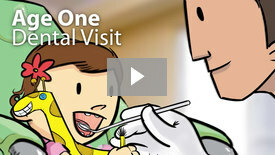 Learn more about the Age One Dental Visit. Fillings are used to seal a small hole (cavity) in your tooth that is caused by decay. This simple, painless procedure prevents decay bacteria from spreading further into your tooth, and possibly infecting the root canal. We only offer tooth-colored fillings and they are BPA-free. Learn more about Fillings. Dental sealants are invisible plastic resin coatings that smooth out the chewing surfaces of the back teeth — the place where your child is most likely to get tooth decay. A sealed tooth is far less likely to develop a cavity, which could require expensive dental treatment and cause your child pain. Ours are BPA-free. 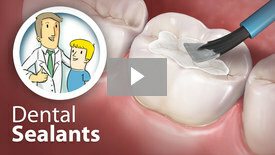 Learn more about Dental Sealants. Proper dental care is just as important for children with special needs as it is for any child. Yet it's sometimes more difficult for kids with special needs to get optimal care. We can help, with appropriate procedures and extra personal attention in the office. Whether your child has special needs, or simply their needs are special- Little Harpeth Children's Dentistry is there to help you! Crowns are coverings placed over damaged teeth to strengthen them, and allow them to look and function normally again. Stainless steel metal crowns are sometimes recommended as a temporary solution for damaged baby teeth, until the permanent teeth come in. Little Harpeth also provides beautiful all white crowns for baby teeth, however they are not covered by insurance. Fluoridated water has been called one of the most significant health achievements of the 20th century — but not every child gets enough fluoride. That's one reason why a topical fluoride supplement, applied here in the dental office, may be recommended for your child. Our flouride is BPA and Gluten free! Learn more about Fluoride & Your Child. It's easier to treat many orthodontic problems during childhood because the body is still developing rapidly. Whether you need standard braces, clear aligners, or appliances like palatal expanders, it's possible to make big changes in a short period of time. 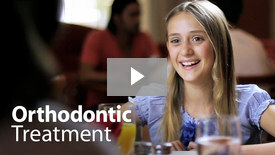 Learn more about the Early Orthodontic Treatment. We are happy to refer you to some of the finest orthodontists in our area. If your child loses a baby tooth prematurely, a “space maintainer” may be needed to hold the space open until the permanent tooth comes in to fill it. This appliance will help your child's bite develop properly — and hopefully avoid the need for braces later on. Most of the time these can be made in office. Learn more about Space Maintainers.